So many sports sites depend on qualitative opinion for the content. Not us. 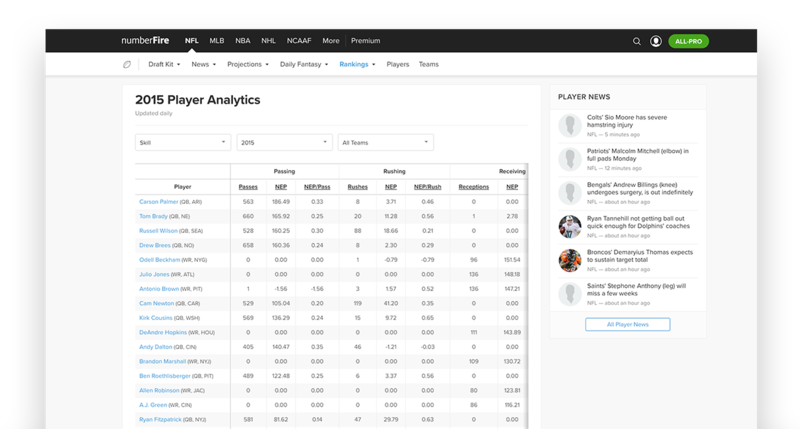 We've built over 200,000 lines of code that iterate over 5,000,000,000 points of sports information to give you the smartest analysis and insights about the teams and players you love. As a Premium subscriber, you'll have access to all of our content, and an improved experience because you'll never see a slideshow. 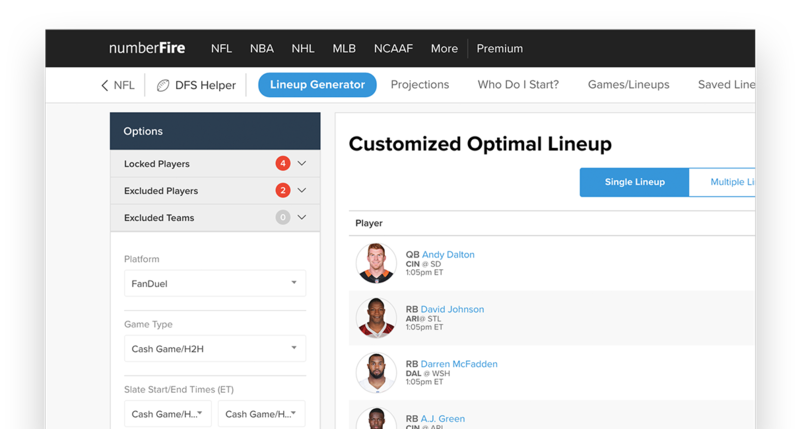 Whether you're a long time DFS player or a new player just dipping your toe into the water, our optimal lineups are an easy way to get started. 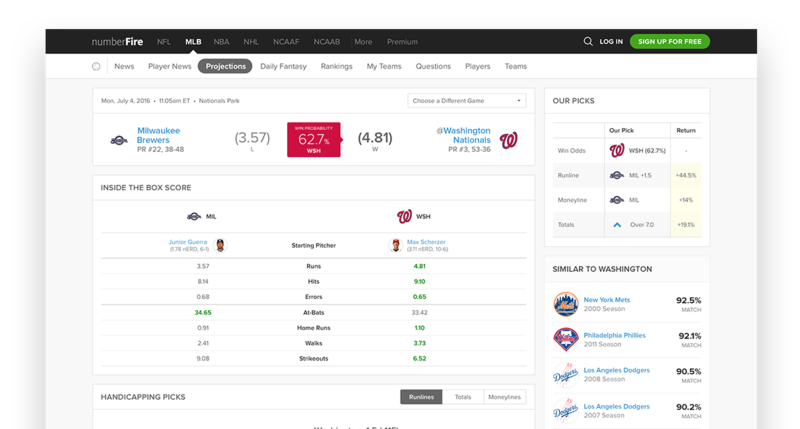 Our lineups combine our algorithmic projections with mathematical strategies for risk management and exposure to give you a new, winning lineup every day of the week. Across multiple sports and over multiple years, our picks have provided real value to serious players and novices alike. Forget hunches, forget guessing - trust your bankroll to the experts. Tired of getting the 5-12 upset all wrong? Hate when your #1 seed chalk pick flames out to the plucky mid-major? 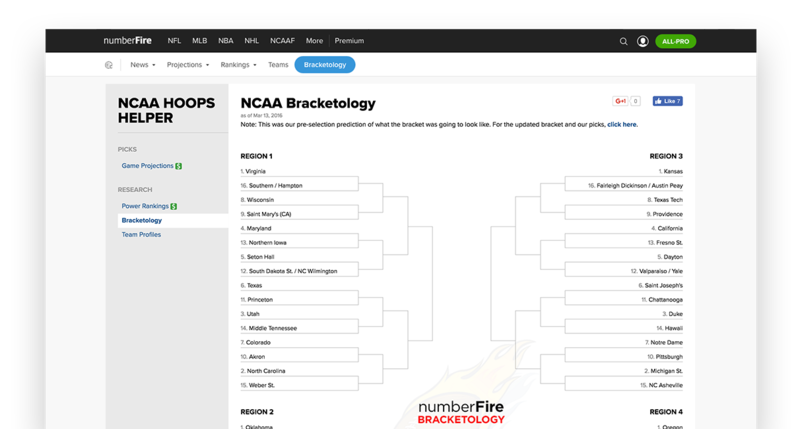 Come March, not only will you get our official numberFire bracket picks - designed for brackets of any size and any scoring setting - you'll get a host of other features, such as sleepers, most likely upsets, and more! Want to learn as much as you can about your favorite players and teams? No problem - we've got just the ticket. 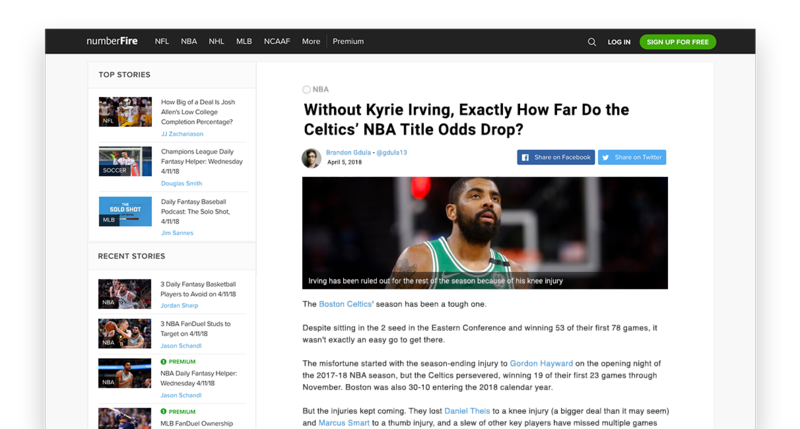 To everyone else, our analytics are a black box, but to our Premium subscribers, they're a key to a deeper understanding of what happens in sports - perfect for those who want even more control of their picks.